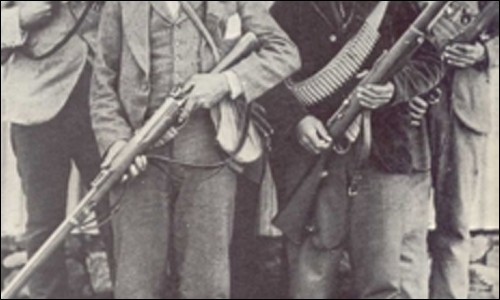 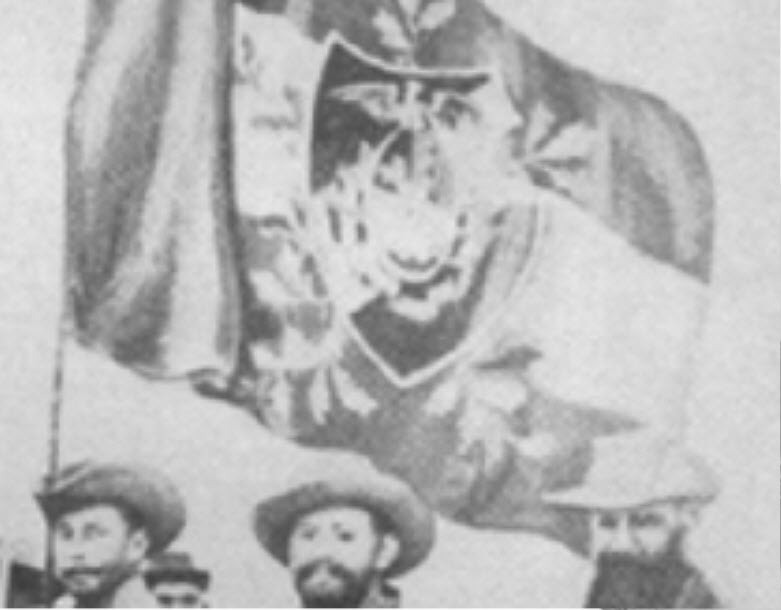 Note the close up of the Boer Flag held by one of the officers. 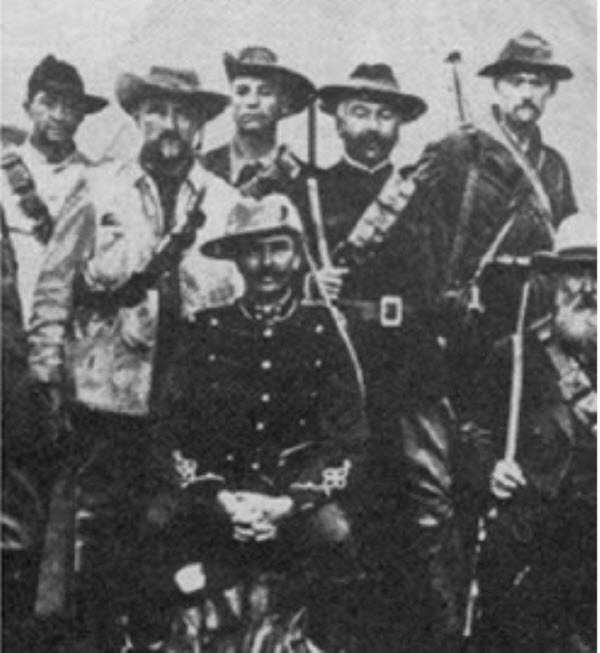 It's also interesting that even though these are staff officers, most of them are dressed shabbily. 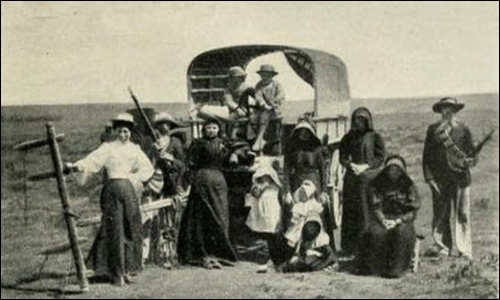 In fact some are barely wearing uniforms at all, and seem to be wearing the regular day to day clothes of the Boer pioneers. 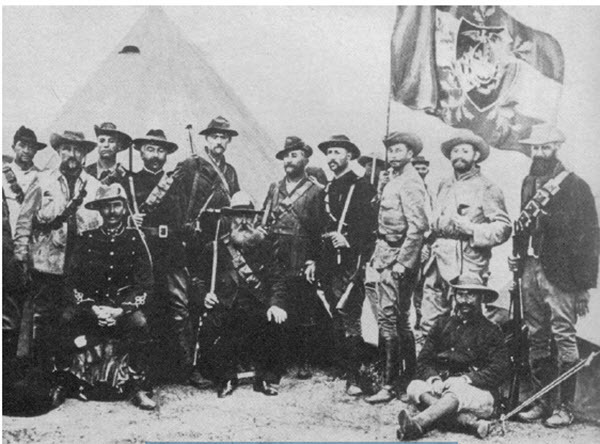 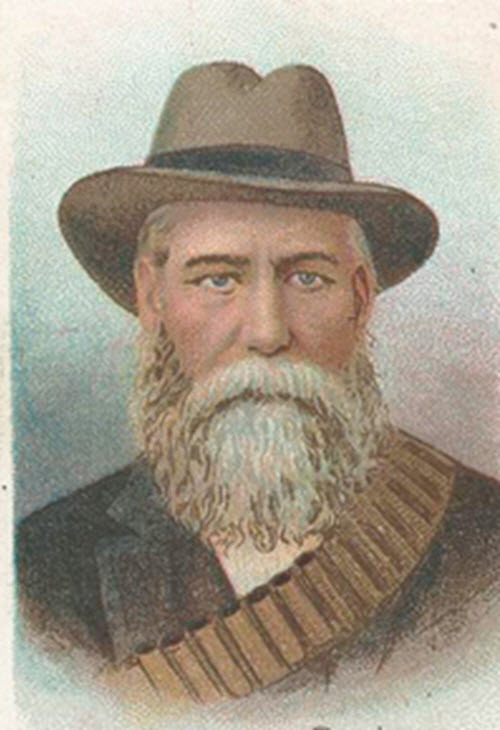 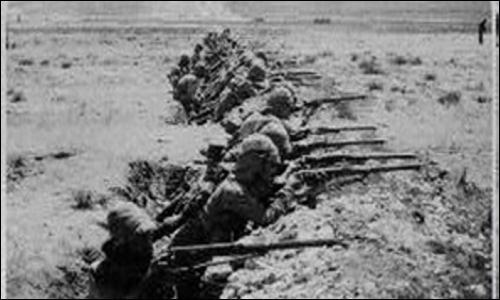 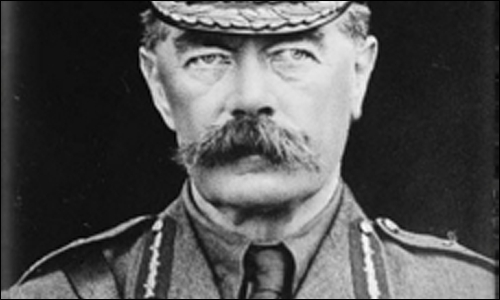 The Boer military doctrine favored practicality and functionality over decorum and appearances.